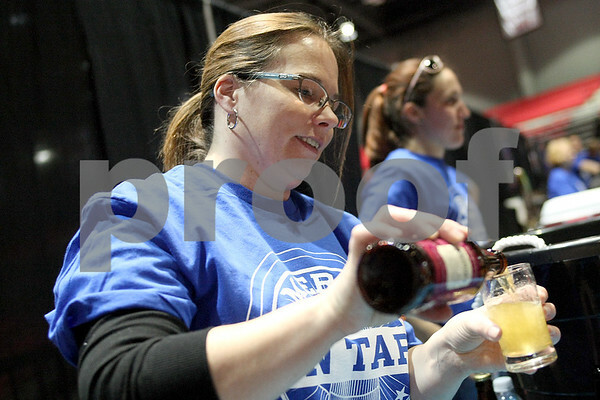 Christine Pellenz, a volunteer from TAILS Humane Society, serves samples of McKenzie's Hard Cider during the annual America on Tap Beer Festival at the Convocation Center in DeKalb on Saturday, March 28, 2015. This is the festival's first year in DeKalb and the event sold out to 1600 people. Seventy four national and local breweries were represented at the event.